Israel’s air strike on a Syrian weapons convoy is not the first such successful attack they have done. In September 2007, Israel attacked the nuclear reactor Syria was building (with North Korean help) and eliminated it. 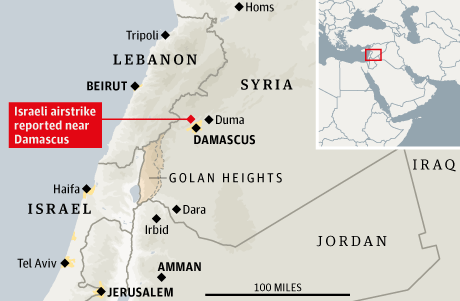 In both these cases, Syria’s air defenses proved worthless and Israel lost no planes. These facts are worth noting because a major and repeated excuse for American passivity in Syria has been the claimed effectiveness of those air defenses. ....the hazards are substantial. Syria is more complicated than Libya, where NATO aided a rebel victory by establishing a no-fly zone. It has more advanced Russian air defense systems near population centers that would have to be taken out first, which could cause more civilian casualties. We are left wondering why Israel seems to be able to dodge those “advanced,” “lethal,” “plentiful” air defenses at will. Here’s a theory. The U.S. Air Force is plenty capable of doing what the Israeli Air Force has done. Syria’s air defenses are a problem and a threat, but they are above all an excuse for inaction. They appear to be far more effective at justifying our policy of inaction than they are at bringing down attacking airplanes. Which makes President Obama a coward. Or a liar. Most probably, both. 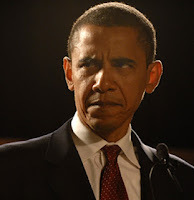 But since, above all else, Obama is petulant, angry, and vindictive, the last place he will look for fault is within himself. Instead, I expect he is seething over the fact that Israel's determination to stay alive has once again reflected poorly on him.